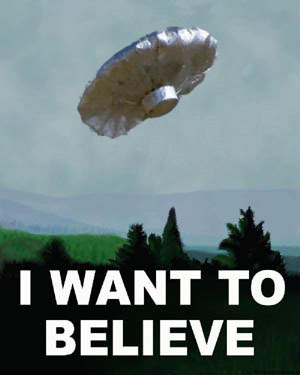 Where's Fox Mulder when you need him? Like others I wasted some time today watching the allegedly skyward Falcon riding in the saucer balloon. I had the suspicion that he was probably just hiding somewhere and not up in the balloon. The live video was seen worldwide. Had six year-old Falcon popped out of the balloon after the landing surely it would have rated higher than Beyonce’s video as the best ever.